Cole Galloway (third from right), professor of physical therapy, was presented the Class of 1963 Golden Anniversary Award for his work. Photo by Lane McLaughlin. Krista Murray has been named assistant director of UD's Department of Environmental Health and Safety. 11:43 a.m., June 7, 2013--For the Record provides information about recent professional activities of University of Delaware faculty, staff, students and alumni. Krista Murray has been named assistant director for the University of Delaware Department of Environmental Health and Safety, effective June 1. Michael Gladle, director of EHS, said, "Krista brings with her plenty of institutional knowledge regarding the University, as well as being well respected within in the research community. It’s a win-win for the University." Murray joined Environmental Health and Safety in January 1994 as the biosafety officer. 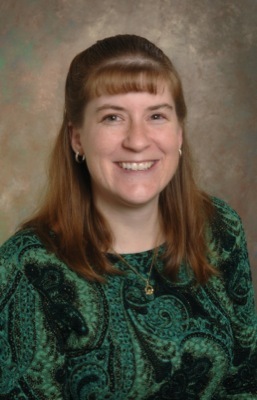 She has a bachelor's degree in medical technology, with a minor in biology, from UD and completed her master's degree in public health from West Chester University. She became a Registered Biosafety Professional in 1999, a Specialist Microbiologist in Biological Safety Microbiology and a Certified Biological Safety Professional in 2003. Murray will retain her responsibilities as the University’s biosafety officer in addition to her new duties. Brian Freedman, director of the Transition, Education and Employment Model (TEEM) unit of the Center for Disabilities Studies, was accepted for the 2013 University Centers of Excellence in Developmental Disabilities (UCEDD) Leadership Development Institute. This is a special session of the weeklong intensive executive development program for UCEDD staff members who, in the opinion of leadership, demonstrate both potential and willingness to assume senior leadership roles in the UCEDD network. The institute, which is a program of the University of Delaware, will take place in June at UD. Former center staff member Ilka Riddle, now associate director of the UCEDD in Cincinnati, also will participate. Cole Galloway, professor of physical therapy, was honored by the UD Class of 1963 during its 50th reunion celebration held as part of Alumni Weekend. 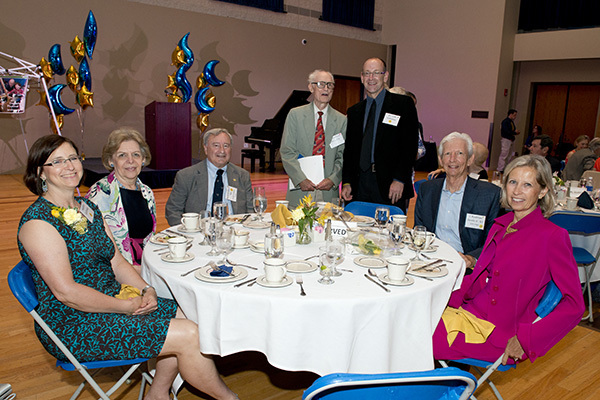 Members presented the Class of 1963 Golden Anniversary Award to Galloway for “outstanding humanitarian efforts” and “enhancing the academic environment” at the University." Galloway discussed for class members his research aimed at providing mobility to young children with disabilities. At the annual Forum of the Association for Institutional Research (AIR) held in May, the organization conferred on Michael F. Middaugh, retired associate provost for institutional effectiveness, the John E. Stecklein Distinguished Member Award. This is AIR's highest honor, awarded "for extraordinary contributions to the field of institutional research." Middaugh headed the Office of Institutional Research at UD for 26 years before retiring in 2011. Steve Dentel, professor of civil and environmental engineering, was recognized by State Reps. John Kowalko and Paul Baumbach for his work with Engineers Without Borders through the UD student chapter (EWB-UD). In 2012, Newark and Bamendjou, Cameroon, voted to become Sister Cities -- one result of EWB-UD's six-year involvement in potable water projects in Bamendjou. The same year, Dentel was named an "oumbé" or "prince" of the village of Bakang II in Bamendjou. At UD, he previously was honored for his advisement and instruction of EWB-UD students with the Outstanding RSO Adviser award (2010) and the Slocomb Excellence in Teaching Award (2008). A. Scott Andres of the Delaware Geological Survey presented "Integration of Multiple Geophysical Techniques to Image a Submarine Groundwater Discharge Zone" at the 2013 National Groundwater Association annual summit held in San Antonio, Texas, April 28-May 1. Co-authors were Holly Michael, John Madsen, Chris Russoniello and Cristina Fernandez of UD’s Department of Geological Sciences, John Bratton of NOAA and VeeAnn Cross of the U.S. Geological Survey. Beth Mineo, director of the Center for Disabilities Studies, participated in a panel presentation titled “Accessible Instructional Materials  What is New with AIM?” at the 2013 Assistive Technology Act Entities directors meeting in Bethesda, Md., in May. Chris Barthold, Center for Disabilities Studies researcher, presented at the annual meeting of the Association for Behavioral Analysis International in Minneapolis, Minn. She shared the session “The ABCs of Behavior Analysis: A Review of the Basics for Students and Teachers,” with Charles Catania, professor emeritus at the University of Maryland. Sheldon D. Pollack, professor of law in the Department of Accounting and MIS, has published an article, “Origins of the Modern Income Tax, 1894-1913,” in volume 66 of The Tax Lawyer (pp. 295–330) (Winter 2013), published by the Tax Section of the American Bar Association. The article recounts the politics behind the ratification of the 16th Amendment to the U.S. Constitution and the enactment of the federal income tax in 1913.